When photography translates a feeling from one human to another, its craft turns into art. I believe the same is true for all the arts. There is craftsmanship, and there is art. We struggle to master our craft, hoping to create something worthy of becoming art. We don’t have to do that. There is pleasure in craftsmanship. But when artistry happens, we know something special has occurred. The creation is exhilarating, for both the artist and the audience. 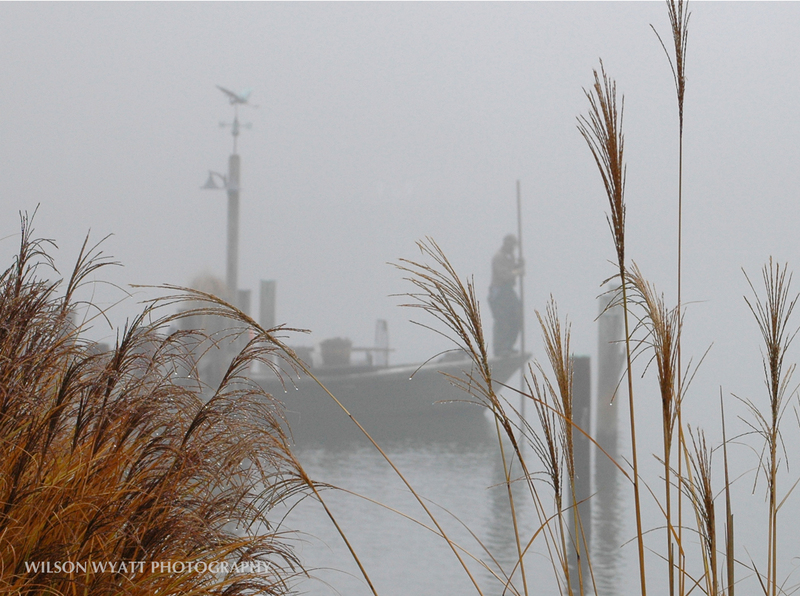 The mere suggestion of shadows of the fisherman tonging for his Oysters slips by the marsh grass in morning mist ………..
Rick, you always have thoughtful words describing images and the arts, and you captured my feelings here. Thank you.